In the rain forests of Peru, an ancient manuscript has been discovered. Within its pages are 9 key insights into life itself — insights each human being is predicted to grasp sequentially; one insight, then another, as we move toward a completely spiritual culture on Earth. Drawing on ancient wisdom, it tells you how to make connections among the events happening in your life right now and lets you see what is going to happen to you in the years to come. – Excerpt from the back cover. 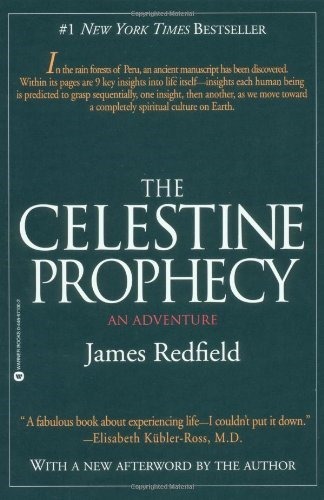 The Celestine Prophecy is a book I like to go back and re-read periodically. 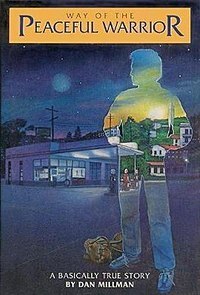 It’s a great adventure story in itself, but the message it shares about being aware of the way people, places and events are connected is really profound and can lead you to change how you look at and think about the world around you. In Way of the Peaceful Warrior: A Book That Changes Lives The lessons of Socrates help Dan drop his preconceived notions and begin to discover the value of “being conscious over being smart, and strength in spirit over strength in body.” It is an inspiring story of growth, courage and rebirth and promising to give you a lot of food for thought on how you life your own life. Jonathan Livingston Seagull is appealing on many levels. First of all, it’s about a seagull, and the animal lover in me loves a good animal story. It is a also a short, simple story that speaks volumes about being yourself, exploring who you are and reaching for greater heights. Jonathan breaks the rules of his society, exploring more and more daring flight, experiencing the joys of flying and following his heart despite being told that this is not what “normal” seagulls do. This book is for anyone daring to follow their heart, whether it be spiritually, creatively or otherwise.